There are times to stand and there are times to flee. There are some things so fearful and deadly that it is foolish to try to face them at all. The only rational course, when confronted by them, is to flee! He also warns us to “flee from idolatry” (1 Corinthians 10:14)—that is, from worshipping and serving any part of the creation “more than the Creator” (Romans 1:25). This warning is especially appropriate today when there is such a wide resurgence of evolutionary pantheism. 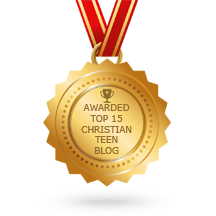 This entry was posted in A CLICK A BLESSING TODAY, CHRISTIAN NUGGETS and tagged things to flee. Bookmark the permalink.